L.R.D.A Records presents a new single from fast-rising Nigerian singer and songwriter – Aristocrat and it’s titled “Never Leave You“. On his new song, he teams up with Black Diamond Entertainment boss – Wande Coal to deliver on the self-produced single. The song was produced by Aristocrat and it was released just in time for the lovers in this season of love. 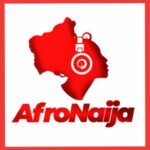 Listen, download and share ‘Never Leave You‘ by Aristocrat featuring Wande Coal and let us know what you think about the song in the comment section below.